I’m sitting on a sun-soaked terrace as I write this important message to you. I came here in part to get away from my usual life, feel the California vibes and draw inspiration to keep going on my new book The 5 AM Club. …what I really want to challenge you (with love and respect) on today is to make a brave move to remove toxic influences from your life. You can do this. Your results will multiply when you do this. It’ll cost your greatness too much if you don’t do this. Look, you can produce magnificent work + own your craft + lift our world. Or you can be around energy stealers, dream crushers and negative naysayers. You can’t do both. You just can’t. And so, to help you as you rise, I shot a very heartfelt video in my hotel room called The Zero Drama Life Method. If you’re ready to grow your success, x50 your positivity and increase your impact, you’ll LOVE this video! I’m calling the 3 training videos I’ve handcrafted for you here in San Diego The Personal Mastery Recordings. Each one is fairly short. And super practical if you’re interested in personal mastery and living your power. No cost, whatsoever. Just pure value. Designed to be of acute service you. All I ask is that you watch the 3 videos. Share them so we spread the message. And live the material. Our world needs more genuine heroes. I’m counting on you to become one of them. P.S. If you want to finally remove the toxic people who are draining your energy from your life, watch this free training video I made for you before it comes down. Want Robin to mentor you? Ready to Develop Amazing Children? The Quietest Secret of Billionaires? A giant thank you to all my readers for making The 5AM Club one of the #1 selling books in the world right now. It’s transforming lives because the method in it truly works. Personal Mastery Academy 2019—widely recognized as one of the most high-impact live events on the planet for empire-makers and world-changers—is coming up in June 8 + 9 at The Ritz Carlton Toronto. 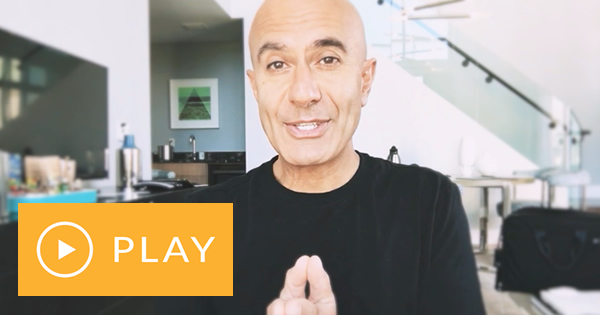 Robin Sharma is one of the top leadership experts in the world. His work is embraced by rock stars, royalty, billionaires and many celebrity CEOs. With over 15,000,000 books sold, clients such as Starbucks, Nike, GE, The Coca-Cola Company, NASA and Microsoft are using his leadership methods to drive real growth + top performance. © The Titan Academy Global AG. All rights reserved. Learn the Pioneering Principles + Proven Tactics to Multiply Your Productivity, Accelerate Your Performance and Create a World-Class Business and Life.